auto-update-packages: Keep your Atom packages up to date. css-declaration-sorter: Sorts CSS declarations fast and automatically in a certain order. 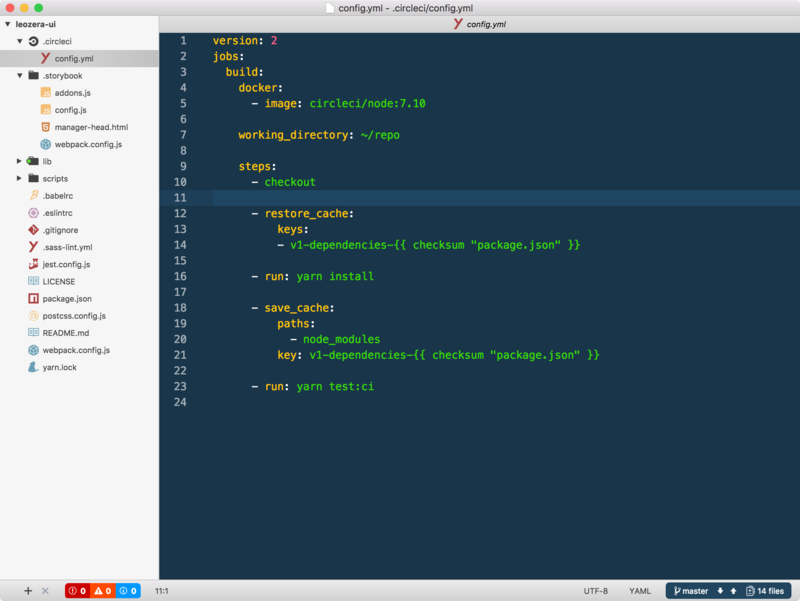 cobalt2-syntax: An Atom theme based on our old blue friend cobalt. custom-title: Set your own template for Atom’s title bar. emmet-jsx-css-modules: Extends Emmet’s JSX expansions to use CSS modules. fonts: Lots of monospace fonts. native-ui: Experience better coding in macOS Sierra. pigments: A package to display colors in project and files. rails-open-rspec: open rspec file by current file. 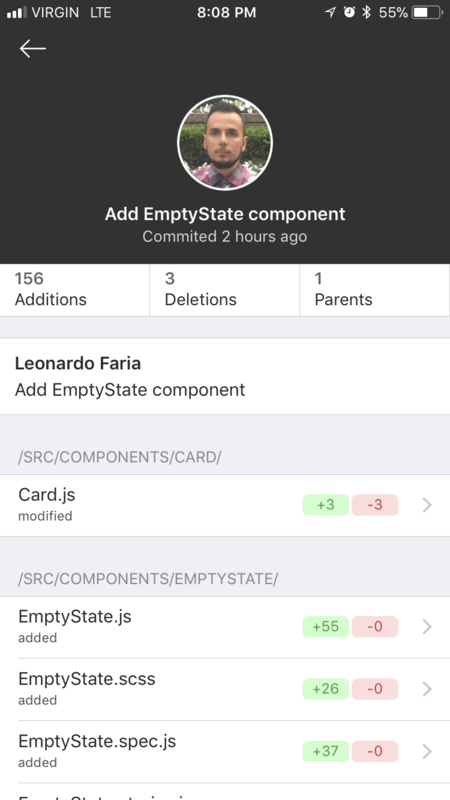 Note: I didn’t add in the list linters and language support because it depends basically on the devs choice. Also, since I use sync-settings, you can check my editor settings on Gist. I am using iTerm2 for a long time with Zsh and oh-my-zsh. If you are not familiar with these tools, I strongly suggest watching Wes Bos Command Line Power User free videos. 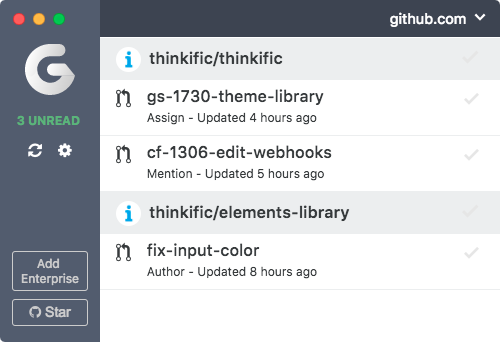 Gitify is an app on the menubar that brings Github notifications. I know, there are email notifications or Chrome extensions but what I like in Gitify: it just works. New notification: icon color change in the menubar. CodeHub is how I get connected to my GitHub profile out of computer. Again, I am not a fan of a full inbox and it is easy to browse the Pull Request that I am participating. You may need to in-app buy the Pro version to get access to private repositories. Sequel Pro is a beautiful and open-source app to handle MySQL databases. You can save your favourite connections and queries. If you want to handle Postgres you may need PSequel or TablePlus. Why two apps? PSequel gets job done but I noticed that I can’t edit PostgreSQL JSON types fields, which is handled by TablePlus. I am probably going to switch to only TablePlus soon since the UI is much better. Last but not least, Tad is useful to deal with CSVs. CloudApp is one of many apps to store screenshots and short videos. What made choose it is the ability to set a custom domain for your files, which is quite handy. Franz is useful because it groups all your Slacks, Messenger, Whatsapp, Telegram and everything else in one single window. 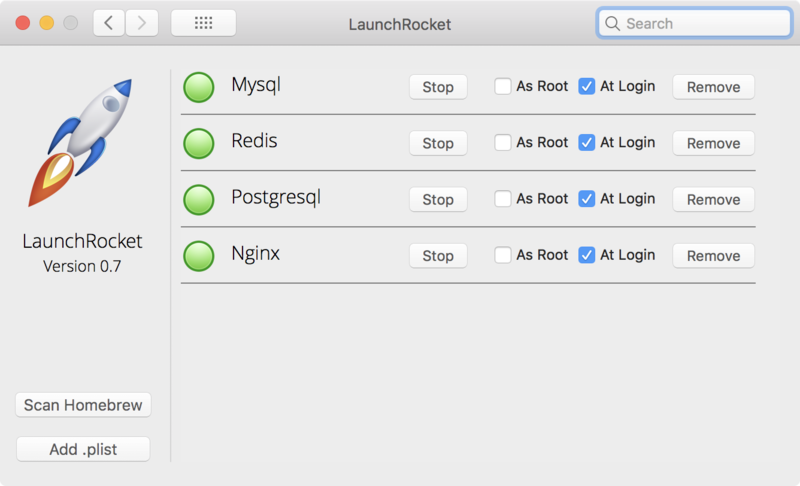 LaunchRocket is definitely an app that you need to install if you install services via Homebrew. It searches services in the Homebrew folder and list them inside the System Preferences. MenuMeters adds in the menubar the CPU usage. iStat Menus is probably the most famous and it deliveries much more stuff but I want to keep this simple. Spectacle is an open source window control app via shortcuts. Since I use a 4K display is quite handy having all windows in place. SourceTree is my favourite Git GUI because it is friendly and free. It helps me a lot interacting with my repositories.